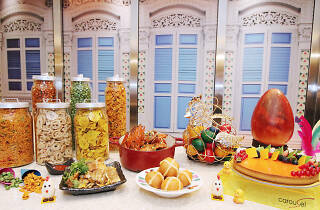 Unlike the others, Carousel celebrates Easter Sunday with a blast from Singapore’s past. Be treated to a variety of Easter specials like colourful boiled eggs and oven-roasted prime ribs with Yorkshire pudding and jacket potatoes, local heritage dishes – featuring all-time favourite Singapore chilli crab served with hot cross mantous and grilled barbecue sambal stingray – and old school snacks like iced gem biscuits, chocolate wafers and more, served from a kacang puteh cart. 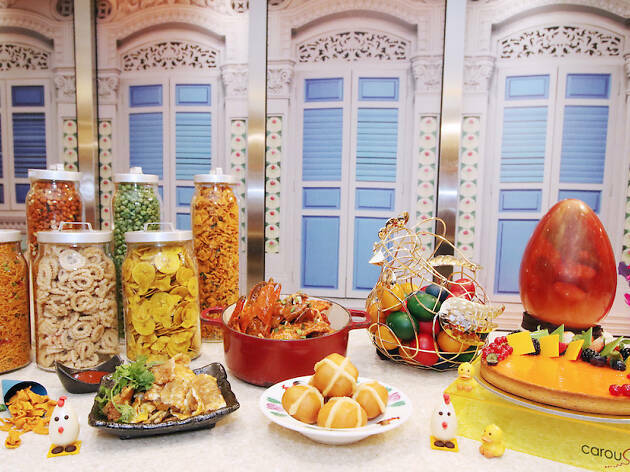 Kids can enjoy an Easter egg hunt with a twist – they will hunt for local dishes hidden in the restaurant – and interact with Mr Easter Bunny, dressed up as a kacang puteh man for the day.